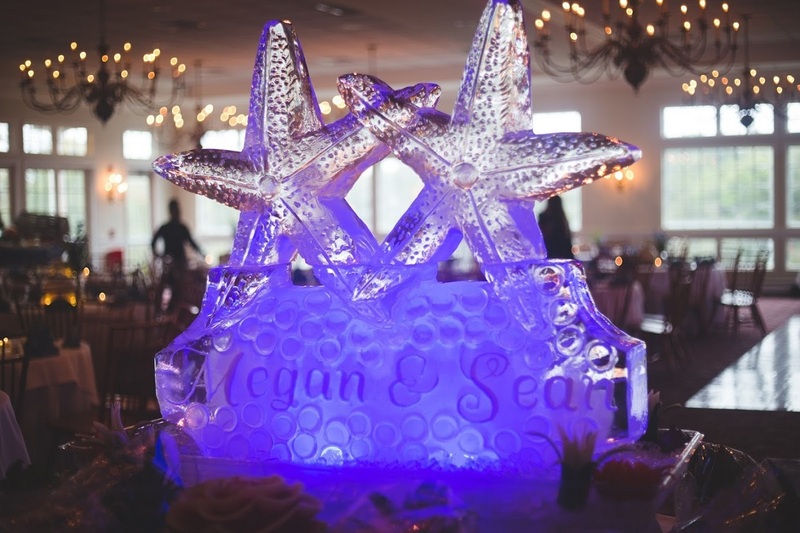 If you want to add something totally unique and beautiful to your reception, there's no way to go but an ice sculpture. Beautiful, elaborate, and even functional, ice sculptures and liquor luges practically guarantee your guests will remember your wedding. With more than thirty years of experience as an Executive Chef, Culinary Arts Instructor, and NICA Certified Competition Judge and multiple award-winning Ice Carver, Chip Koser, owner and sculptor for South Cape Ice Sculptures, is no stranger to the affect one of his pieces have on a wedding. "People definitely remember if they drank out of one," he laughs. "People think it's fun." He admits he infinitely prefers the latter, for a variety of reasons. The drinks may take a bit longer to come out, but it stays much cleaner. â€œPlus, I can make something prettier," he says. "The Frat Luges look more like ski slopes." Koser can certainly make pretty sculptures. He's made all sorts of pieces for weddings, parties, and competitions, all of them hand-made. He says that lighthouses are extremely popular in Cape Cod, and "everybody loves a dolphin." You can choose a design from his extensive portfolio, or commission something totally unique or inspired by your wedding theme. "The most elegant one I ever carved is, really, all of them. Even the fun ones look great." But it's no easy task. A single block of ice can weigh over a hundred pounds, and he does everything by hand. "I've been doing it a long time. It's come a long way since I was using the hand tools." More advanced and precise equipment means he can make some truly elaborate pieces, like the nearly 28ft high abstract at the World Ice Art Championship at Ice Alaska 2011. And all that experience means he knows how to do some cool extra touches, like freezing flowers into the ice. He says he gets such request a lot. "People want to know if you can do it." Using this technique, he made a centerpiece of the enchanted rose from Beauty and the Beast. The frozen flowers are especially vibrant, too, as the ice catches the light and makes the colors extremely vibrant. Your guests will be fascinated by the addition, trying to figure out exactly how he managed to get the flowers inside. He can also add in things like sea glass, lights, and other decorations. So don't be afraid to ask for that unique, elaborate ice sculpture you've been dreaming of. Koser has gotten used to the unusual. "Because there are so many more themed weddings nowadays, I get a lot of different requests. I just got a request from a couple that are having a Game of Thrones wedding and asked for a dragon." He says, "It's been a while since I've made just a normal swan."